If social media had a mission statement, it would be to bring people together while keeping them informed. Here are 3 ways to do just that for the bride and groom's big day! 1. Planning: A decade ago, wedding planning meant stacks of magazines and a three-ring binder for most brides. Today, everything needed to plan a wedding can be found on a smart phone. Pinterest is a great resource for getting ideas on everything from hair styles to bridesmaids dresses to event decor. And for the brides that don't want every detail of their wedding shared before the big day, Pinterest has secret boards. If a bride needs more than inspiration to plan a wedding, Google has a wedding budget template and apps like lover.ly and The Knot can help tame the chaos before the nuptials. 2. Day-Of Coordination: Utilize apps like Wedding Party, Wedding Planner for iPad, and appy couple for a more seamless day of experience. These apps have can coordinate vendor information, send out email reminders to the wedding party when they need to be somewhere, keep a shot list for photographers and so much more. 3. Crowdsource Your Photographs: Wedding photographs are the piece of the ceremony and reception that will last forever and many couples don't want to miss out on the moments between their guests. Crowdsourcing wedding photos is a great way to involve their guests and have photographs they would otherwise not have. 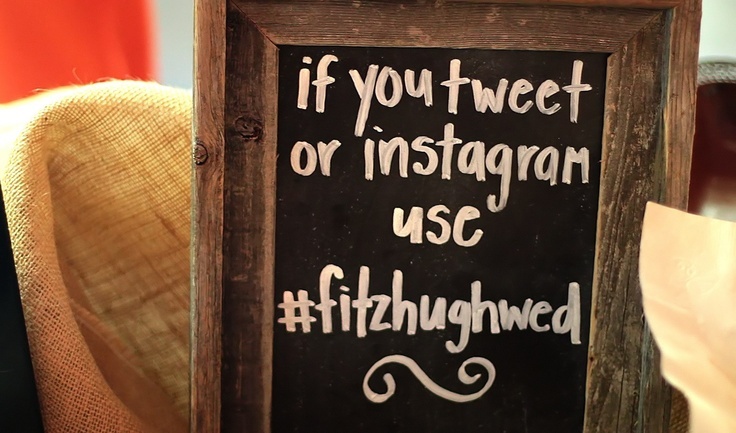 A popular trend now is creating a wedding hashtag and having guests share their photos on twitter and Instagram using the hashtag. Apps like WedPics, Snapable, and Eversnap allow the couple, the wedding party, and all the guests to share photos and videos during the ceremony and reception and order prints and albums to help remember the day. Mahaffey Tent & Party Rentals is the one-stop-shop for all your event rental needs! Our wide range of wedding tents and accessories can fulfill any wedding wish you may have! Call 901.457.4538 or contact us today to schedule an appointment with one of our special event consultants!